When dads are out with their baby, where are they supposed to change nappies when the only sanitary and clean place to change a baby’s dirty bottom is behind the forbidden land that is, the female lavatories? 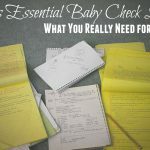 Following Ashton’s cry for help the stateside dad bloggers rallied around a campaign spearheaded by Scotty Schrier to campaign for the same thing; more public places available to dads for changing their baby’s nappy. 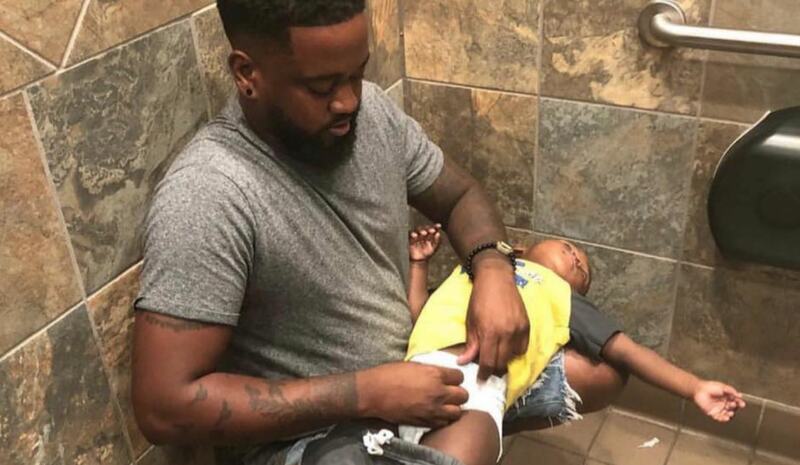 Because just last week, Florida based, Donte Palmer took this photo of himself squatting in a men’s public toilet with his son laid across his lap so he can change his nappy. Seems like he must’ve found a hole in President Obama’s bill! We actually did a poll in The Dadsnet about the state of play here in the UK a short while ago. 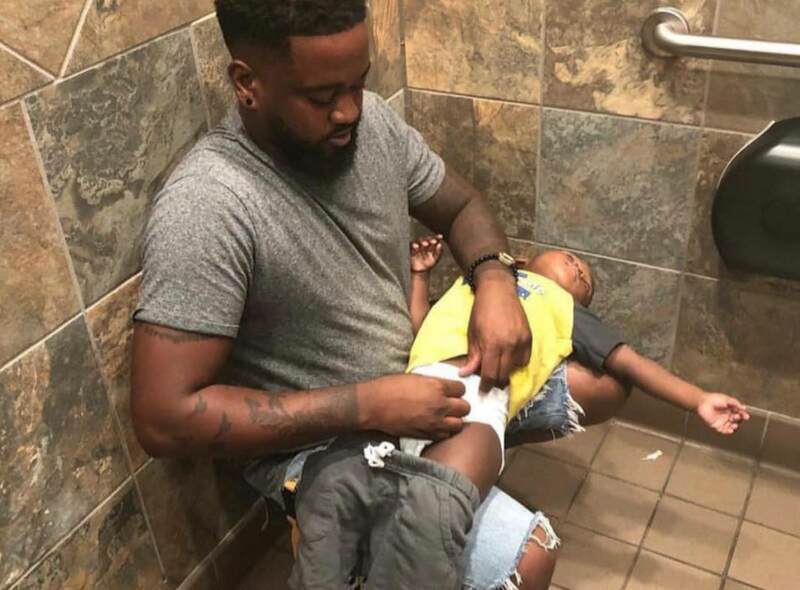 Nearly 50% of dads surveyed said that they have had no choice but to change their baby’s nappy in the car whilst 1 in 10 dads have had to resort to changing their baby on the floor of a public toilet. It doesn’t seem like the situation is getting any better, either. This was a photo sent in from a member of TheDadsnet just yesterday. 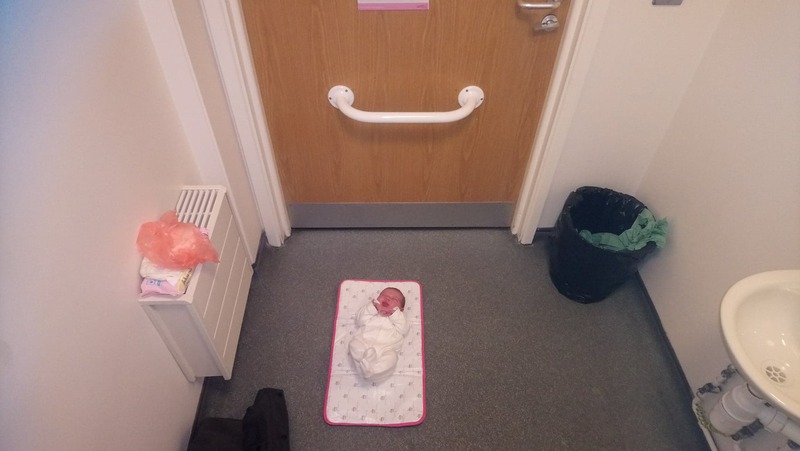 It shows how he was forced to use the toilet floor to change his baby’s nappy in his local doctor’s surgery. Furthermore, another member asked to change his babies nappy when in his local hospital. around was the response he received. 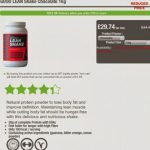 I was told it’s in the ladies with a heavy undertone of ‘why would you want to change a nappy?’ I then asked where dads were expected to change their babies nappy to which I was told, ‘You can ask a nurse if you can use a side room but don’t bank on them allowing you.’ I ended up changing him in a ‘quietish’ corridor… At the time I was so shocked I didn’t say anything but have since thought about it and am disgusted that I was put in that predicament. When we pass this issue off as something insignificant that occurs in restaurants or shopping centres, we don’t realise that it’s an issue everywhere, including hospitals and doctors surgeries. We’re disappointed to hear on this occasion we have not met expectation of Al and his son. We support the ‘dads for Change’ movement and are now working closely with our teams across the UK to improve this facility for dads, and also reviewing our facilities for parents as a whole. We look forward to welcoming Ted and his dad back to Strada soon. So some people are listening! The cultural shift in society that we’re currently witnessing is seeing more dads looking for flexible working hours so they can care for their children in ways that just haven’t been possible before. More dads are choosing to stay at home whilst their partners return to work, even more so when the gender pay gap issue continues to get media attention and gradually change. This issue does get some media attention. 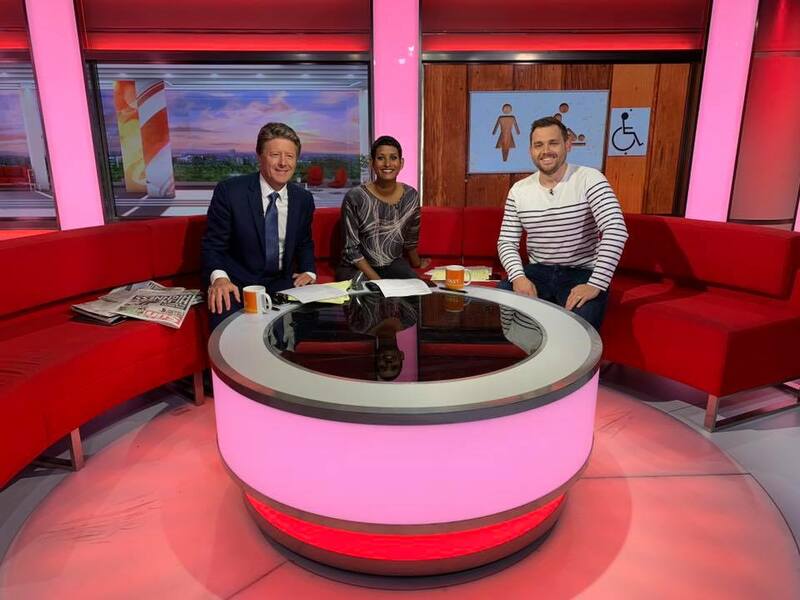 We were invited on BBC Breakfast only today to discuss the problems dads face in the public toilet arena. The government pay lip service to dads at the moment, aware that they need to look like they’re realising dads are important but realistically, they’re doing nothing. The new shared paternity leave laws have fallen by the way-side with a terrible uptake in the first 2 years and society is still rife with inequalities between mum and dad. We need a Barack Obama moment from our UK government. One that’s then followed through with so we don’t have any Donte Palmer moments.